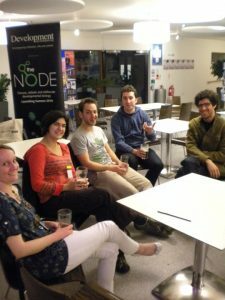 The Node is a blog hosted by the Company of Biologists, and aimed at a community of developmental biologists. I managed the site and social media from launch in 2010 until early 2013, growing the audience in the early days, and introducing researchers to the concept of a group blog (where anyone is invited to contribute) at a time where many of them were still wary of posting online. 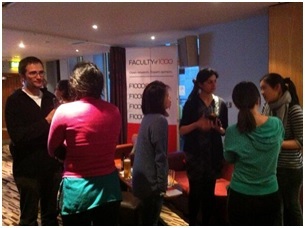 To generate trust, I attended conferences and set up collaborations with societies and courses in the field. By the time I left, The Node had become a recognized communication vehicle for the community, serving job ads and news to developmental biologists and stem cell scientists. F1000 Specialists are users of F1000 products who help F1000 reach out to their respective communities. 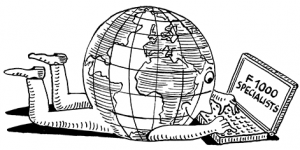 They include PhD students, postdocs, clinicians and researchers from all over the world. I co-founded the F1000 Specialists advocacy programme in 2013, and was responsible for overseeing the restructuring of the programme in 2015. The TGMI is a multi-disciplinary group of researchers, clinicians and others, who are working in making sure genetic medicine is ready to be integrated into healthcare at a larger scale. The largest challenge for this project was that the audience was not a coherent pre-defined group. However, through consistently publishing new content on our website, social media and a weekly email newsletter, people interested in helping the cause were able to find the TGMI and become involved with the growing community.